Without a doubt, waste is rampant in our industry, and inefficiency should be stamped out wherever possible. But I think too many contractors get too focused on small, frugal decisions. The idea of re-using something makes some sense, but the ‘frugal’ mentality can drive all kinds of decisions — many of them incorrectly. The really successful people in business are typically Type Threes. A strong streak of frugality does indeed drive the landscape industry, and I hope it’s obvious that through many of our articles, we’re trying to see the forest for the trees. A few years ago, lots of contractors thought we were nuts because we were spending $50-70 per month equipping foremen with cell phones. That was seen as an unnecessary expense, risk and opportunity to get distracted during work hours. But if reaching out to someone in real-time can save just one mistake a month, that paid for the phone! And trust me, it saved 30 mistakes a month! For a long time, the way to ‘make money’ was to get your equipment paid off and own everything. I think this stems from the way we account for expenses. Once equipment is fully depreciated, it no longer shows up as an expense. Sometimes you are ahead, but many contractors end up spending far more on repairs, on fuel, and — most significantly — on lost revenue. Lost revenue, because machine breakdowns can cut productivity by two-thirds or more. But lost revenue doesn’t show up in accounting, and so most people don’t factor it in their decisions. All they see is no payments. And because their profits are low (because their equipment isn’t sufficient, or is breaking down all the time! ), contractors don’t comprehend that an investment (spending!) in new equipment will offset its cost through increased speed, productivity, and therefore revenue. But on an accounting statement, equipment is often seen only as a monthly cost — without seeing the revenue (or lost revenue!) potential. It’s no secret that most contractors come from non-business backgrounds and never had finances clearly explained. And when people lack knowledge about something, they tend to minimize risk and play it safe. So contractors often choose the cheapest route on paper — not because they’re just “cheap” — but because that’s the safest route. I really think this is the root of the labour problem in this industry. Landscape contractors — who, by and large, are some of the nicest, most genuine people you might meet — aren’t making a lot of money, so they believe they have to minimize wages. This can be an effective strategy in highly structured environments such as Walmart or McDonalds, but out in the landscape industry, where you have 100 variables a day and very little structure, the result of cheap people is typically poor performance. Poor performance leads to low profits, which unfortunately further reinforces the belief that we can’t “afford” higher wages and the cycle repeats itself, until you arrive at a point where our booming industry offers too few opportunities for rewarding careers. I believe a lack of financial understanding leads to frugality (safe decision making, dealing with costs one can see), which in turn, leads to underperforming individuals and companies. 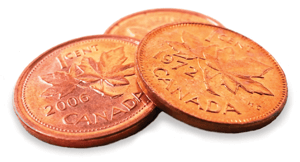 Low profits, unfortunately, seem to reinforce the need for further frugality … instead of understanding it might just be frugality that’s causing the problem in the first place. If you went skydiving with no training, when would you pull your chute? Probably in the first few seconds after you left the plane. You don’t know what’s going to happen, how fast you will fall or whether your chute will even open, so you make the safest, most conservative decision you can. You pull that chute fast. And you survive, but your skydiving experience wasn’t very fun. The conservative approach got you down safe, but eliminated the potential to have an amazing experience. But train someone to skydive, when to pull the chute, and how to land, and that person will not only survive, but will make the most of the skydiving experience. I think the same goes with running a business. When you don’t know your numbers, you hire cheap people, you keep equipment with no payments, you have a crappy website (if you have one! ), and your office is dingy, dirty, and furnished with desks and chairs that are 25 years old … because you can directly see how all those decisions are saving you money. But you don’t see the “hidden” costs of being cheap. If you hire cheap, you are not going to attract great people. Without great staff, you will be forever babysitting and fixing mistakes. You might save a couple of bucks an hour in wages, while you lose $1,000 per week, or more, in potential revenue because your work is performed by people who don’t work productively and have no reason or motivation to improve. Your ‘paid for’ equipment gets old, and now it keeps breaking down when you need it. So you have no payments, but you lose all kinds of man-hours taking it to get repaired, working without it, repairing it, etc. When your crews are fixing equipment, or working without it, they are losing available man-hours to do the work they are getting paid for — landscaping! Your office is old and dingy because your customers don’t see it, so you don’t invest dollars into it. But what kind of office staff are you going to attract, when they’re working in a trailer, with a port-a-potty outside, and their chair is 15 years old and squeaky? You save a few thousand bucks a year on rent and furnishings, but you have an office that’s unkempt, unprofessional, and doesn’t instill pride in one’s job. (These are the same owners that complain they don’t have staff who get engaged, or take responsibility). And you probably lose good potential hires who don’t see career opportunity in an office like that. You skimp on advertising — at the cost of lost sales. You make cheap business cards and have a website that’s six years old and you wonder why you can’t get any big, good jobs. You don’t equip your trailers properly. You save money by sharing tools and keeping them at the shop, but when you need that tool, another crew has it, or you forget to put it on the trailer, you lose a few hours going back to the shop to get it — or buy another from a vendor. You don’t invest in software because it’s a visible expense. But you lose 10 prospective customers a month because you don’t remember to follow up — or manage the prospects properly — but that lost opportunity isn’t quantifiable, so it is easy to ignore. I could go on with many more examples. It used to be that farmers could run their farms (and do all right) and landscapers could run their businesses (and do all right), but both are facing revolutions in their industries. Both of these sectors are now genuine business opportunities for smart, aggressive, business-minded people and, right or wrong, the business-minded people will win out. They’re already winning in offshore manufacturing, big box retail and factory-farm agriculture, and they will win in landscaping, too. 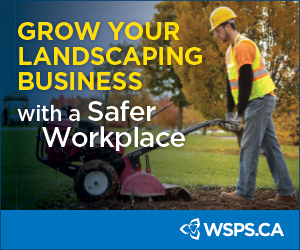 That’s why it is so important, for the sustainability of our businesses and our labour market, to help landscape contractors be successful business people — as well as the great people they are today. I want the small contractors to win. I believe most contractors want great staff, and new equipment, and nice offices and a healthy bottom line … they just lack the confidence, business acumen, and proof that investments will help them get there. They are currently too busy, too burnt out, too frustrated and not profitable enough to see the light at the end of the tunnel — which is why we try to include example after example of investment, showing the revenue potential it can generate. Mark Bradley is CEO of LMN, based in Ontario.